Today’s interview guest – Philip Freeman – is based in the US and has worked in various roles including jazz publicity, marketing (both independently & for record labels) and as a music writer – currently on his Burning Ambulance blog. 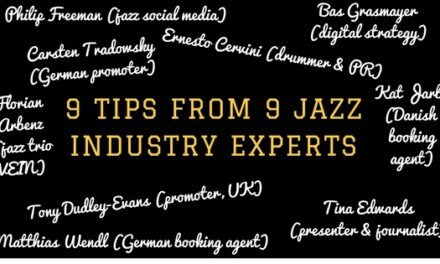 As someone on the forefront of digital media in jazz, he’s going to share his insight on how you can use social & digital media to grow your career, even in a niche like jazz. 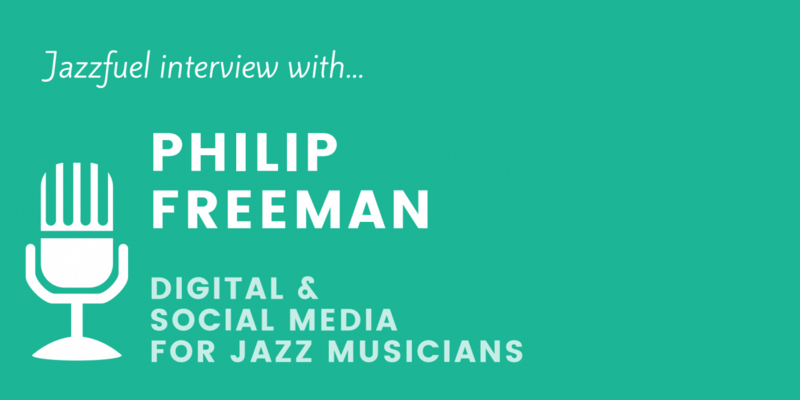 Former jazz journalist and magazine editor Philip Freeman now uses his extensive experience in digital marketing – including time at Atlantic Records – to advise musicians on areas including social media and branding. 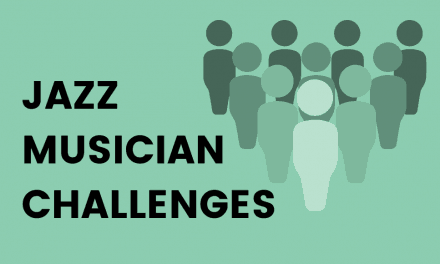 He’s worked with some modern jazz giants (including one of my personal favourites Mark Turner) and agreed to do this Q & A on social media for jazz musicians. How important is it for a career-building jazz musician today to be active on social media? I think it’s crucial. 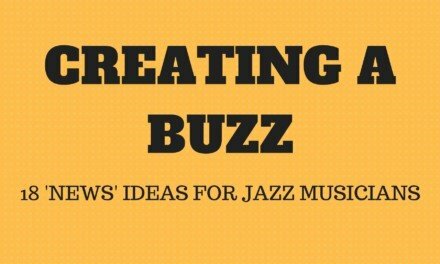 There are not anywhere near enough press outlets covering jazz to make it without doing your own outreach directly to fans – and every music writer is on Twitter, anyway! But it’s not enough to have an active, frequently updated Facebook page, or be a witty tweeter; you’ve got to maintain direct connections, preferably by building a strong email list. Emails are somewhere around 10 times as effective as any social platform when it comes to actually getting people to give you their money. So while you should be engaging with your fans online in order to determine what they like about you, and make yourself real to them (thus inspiring loyalty), you should also be signing them up to hear directly from you once a month or so. In terms of building a fanbase online, what is your top tip for a musician looking to reach jazz fans who do not already know their music? When I was first learning about jazz, I did it the way many fans before me have done: I heard an album I liked, so I wrote down the names of the players and sought out other records each of them appeared on. A similar approach can help artists reach each other’s fans on social media. 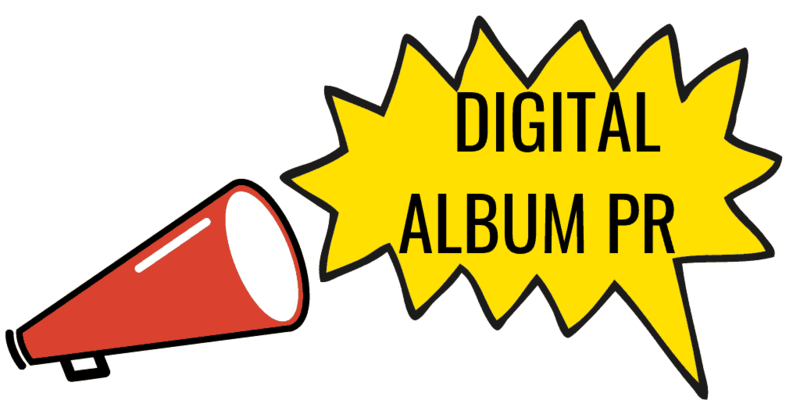 If you’re a bassist who’s played with a well-regarded trumpeter, reach out to his fans on social media to make sure they know that you’ve got an album of your own. Do you feel that different social media platforms should be used for different things or is it ok to replicate content and attention across all of them? Each platform is unique, and must be fed with content that respects its qualities. If you’re just automatically sharing Instagram photos to Twitter and Facebook, people who follow you in all three places will quickly become annoyed. Far better to create unique content for each platform – use Twitter as a way to have real conversations with fans and other musicians; use Facebook for big announcements and marketing pushes (and always assume you’re going to need to pay to increase views); use Instagram to reveal art or post photos from backstage at a legendary venue. And if you recognise that one platform is much more successful for you than others, make it your focus. Facebook, Twitter & Instagram are the most well-known social media platforms today. Are there any others that musicians should consider paying attention to and using? You have to think of YouTube as a social media platform. Create a channel; upload your own music if possible, assembling entire albums into playlists, one track per video. Film live performances and share them – try to create one new piece of content per week. YouTube’s algorithms reward active channels – the more content you post, the more YouTube will push it to your subscribers, and to potential subscribers via the right-hand “Recommended For You” column. When you are working on a digital strategy for a new jazz album release, how far ahead do you usually plan? A successful album rollout starts two to three months out, depending on how much content the artist/label are willing to share with fans prior to release, how much additional material (behind-the-scenes video, exclusive bonus music, album art reveals, etc.) is available. Who, in the jazz world, do you think does a great job at communicating and raising their profile through social media? Ethan Iverson of the Bad Plus is easily the best, in my mind. His writing on the Do The Math blog, as well as his informative and entertaining Twitter account and weekly email newsletter, all combine to give a well-rounded portrait of him (he’s a huge crime fiction fan as well as a jazz historian/scholar). He asks questions on Twitter, and directly engages with fans who answer, using it as a platform for real communication. How much influence do you think social media presence has when promoters/bookers are considering whether to book a band? Within the jazz scene, I’m not sure – but probably not as much it should have. Within the rock and metal scene, with which I’m equally familiar, it’s very important. Bookers want to know that you’re going to be a draw, and the quickest way to get an idea of your drawing power is to look at your social media following, particularly on Facebook, where it can be quite easily broken down geographically. If you’re a club owner in Florida, and you can see that the band you want to book has 10,000 fans in Florida, that group is worth gambling on. Are there any blogs or mailing lists that you are subscribed to that help you keep up to date with strategies for digital marketing? 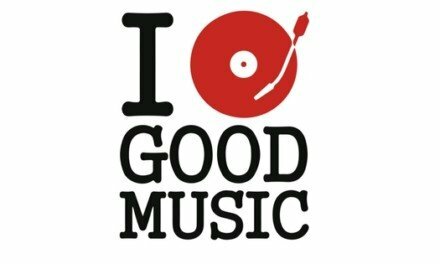 Any specifically focused on music? I read SearchEngineLand and MarketingLand almost daily. I haven’t looked for any specifically focused on music, because I find that it’s best to deploy unexpected strategies – for example, using methods that work in retail or sports marketing to sell records, or using record industry strategies in non-entertainment fields. But DigitalMusicNews is a good source if you’re looking to keep up with all the ways the streaming economy is proving itself to be unsustainable – thus making it ever more important for artists to convert casual listeners into loyal, paying customers. You worked on digital marketing at Atlantic. Is an artist’s online profile an important consideration to the A&R guys before making a signing these days? As a journalist, did you have artists pitching to you via social media and, if so, did you respond to these and check out the music? Yes, I get messages at the Burning Ambulance Facebook Page all the time offering album downloads or track streams. I listen sometimes, but too frequently they’re nothing I would ever cover, which tells me that the artist is shotgunning their music out indiscriminately, desperate for any attention they can get. It’s much better to focus on three or four sites or writers who have previously demonstrated a real interest in the kind of thing you’re doing – if you’re a smooth jazz saxophonist, you wouldn’t send your album to FreeJazzBlog for review, would you? I’d like to thank Philip for his insight on this subject! If you have any related questions, feel free to post in the comments section here. 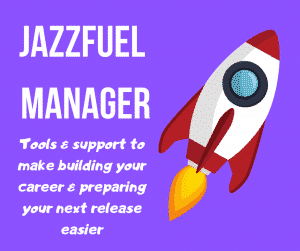 If you’d like to dig deeper into Jazzfuel content on this topic, you can find all articles on jazz promotion here. Philip is a former jazz journalist and magazine editor based in Elizabeth, NJ. He combines his extensive knowledge in digital marketing – through his work at Atlantic Records – with a passion for jazz to offer social media, online marketing and branding consultation to musicians. His previous clients include Mark Turner, Brian Charette, Joel Harrison, Behn Gillece, and Posi-Tone Records and you can connect with him on Twitter via @burn_amb (named for Burning Ambulance, the arts website he runs).